Wishing all our readers a Happy Christmas, we are here with the 95th Sampada! 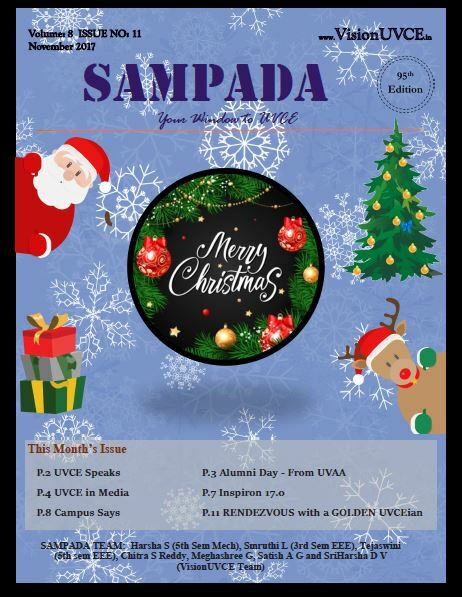 With the countdown to the New Year catching up, we are proud to start the countdown of Sampada’s editions to make 100 memorable copies cherishing the fun college activities, completions, important college prospects, niceties of the fests, alumni and student talks and closing in on all these details in a monthly newsletter. This holiday season, we present Sampada – 95 covering details about the Alumni Day, fests celebrated in college, Campus says by students, Interview with an inspiring Alumni, Completions our Students have triumphed in, jest regarding the newspaper articles featuring our college, Architecture Alumni meet and details about the VisionUVCE initiative. 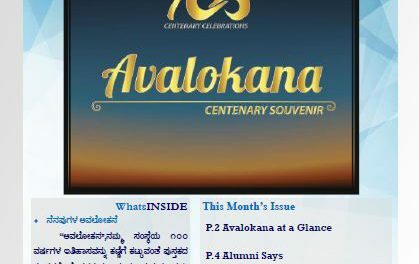 This newsletter, we have a special narrator who talks about their beautiful journey marking their centenary year this year. 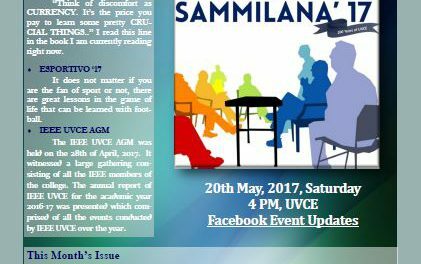 A few on goings regarding the Alumni Day organized by the Alumni Association is covered in this edition. 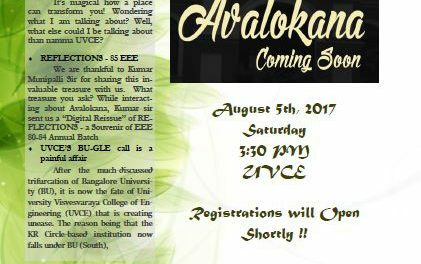 VisionUVCE’s Endowment Plans for various initiatives including Scholarships as an initiative is here and interested members can further their suggestions and support for this initiative by talking to us and can read more regarding this at our website.